TEL AVIV, ISRAEL and WAGENINGEN, the NETHERLANDS, November 2nd, 2017 – ADAMA and Ceradis B.V. announced they have entered into an R&D agreement to develop new, innovative and sustainable crop protection products based on ADAMA’s active ingredients and Ceradis’ technology. ADAMA is one of the world’s leading crop protection companies. Ceradis develops and sells innovative, environmentally friendly products for plant nutrition & crop protection. 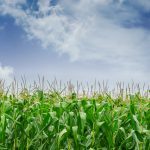 The agreement’s goal is to deliver new crop protection products to farmers with similar or better efficacy rates and ease of handling, while reducing the required dose rate of active ingredients. 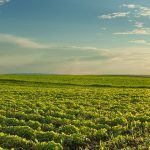 ”Ceradis is focused on answering one of the biggest challenges facing the crop protection industry: how to provide effective solutions to farmers while ensuring their sustainability through significantly lowering dose rates. Ceradis has developed a very versatile encapsulation platform which has shown great promise in our first trials. I believe we can expect viable commercial products to emerge from our research.” states Willem-Jan Meulemeesters, CEO of Ceradis. 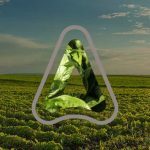 Adama Agricultural Solutions Ltd., together with Hubei Sanonda Ltd, to be known as ADAMA, is one of the world’s leading crop protection companies. We strive to Create Simplicity in Agriculture – offering farmers effective products and services that simplify their lives and help them grow. With one of the most comprehensive and diversified portfolios of differentiated, quality products, our 6,600-strong team reaches farmers in over 100 countries, providing them with solutions to control weeds, insects and disease, and improve their yields. For more information, visit us at www.adama.com and follow us on Twitter® at @AdamaAgri. Ceradis B.V. develops and sells innovative environmental friendly products for plant nutrition & crop protection. We were founded as spin off from Wageningen University & Research (WUR) (Netherlands). We have developed and patented (biological) formulation additives that boost the efficacy of existing chemical Active Ingredients, resulting in a reduced rate of chemicals use per hectare of farmland and lower residues on the crop, making them more environmental friendly. We are also developing biofungicides based on macro-organisms or natural products. Ceradis has four formulation technology platforms, on the basis of which it can develop products. Some of our products are already being sold, with our current sales being mainly in Southern Europe and Latin America. For more information, visit us at www.ceradis.com.